Danotherm Power Resistors are used in connection with power electronic equipment. Some examples are: snubbers, voltage dividers, de-charge resistors and start- or charging resistors. An important application is brake resistors in connection with frequency converters for motor control. We can supply brake resistors as components for build-in or stand alone units. In some applications the brake energy can be reused as heating energy. 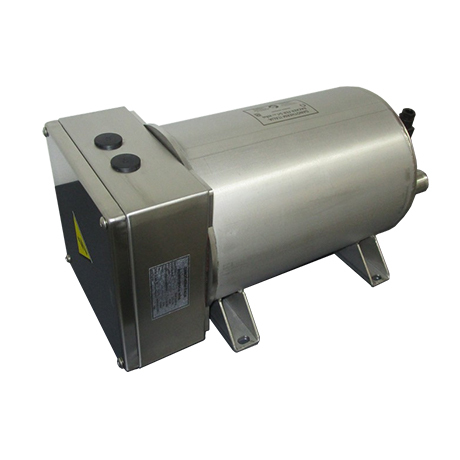 For this Danotherm has a dedicated water cooled aluminium compact solution. The product range covers a wide field, from flat-, round- and wire wound resistors over aluminium housed compact brake resistors and Steel Grid Brake Resistors to huge modules constructed of water cooled break resistors. For further information please see all our resistor types here. PCIM Europe (Power Conversion and Intelligent Motion) is the international leading exhibition for Power Electronics, Intelligent Motion, Renewable Energy and Energy Management from Tuesday 7. till 9. May. Danotherm Electric A/S celebrates its 100-year anniversary. First established in 1919 in Frederiksberg, Denmark, Danotherm has become the world’s leading producer of power resistors for a broad range of electrical applications with distributors in 46 locations worldwide. Renewable energy from wind turbines or power savings by electrical motor drives are important applications for Danotherm resistors in 2019. With roots back to 1919, Danotherm Electric A/S is known worldwide for it's qualified design and production of high quality power resistors for the electronic-, the windpower- and the telecommunication industry. With distributors all over the world, Danotherm Electric A/S is ready to provide support and fulfill your demands for power resistors where ever you are. 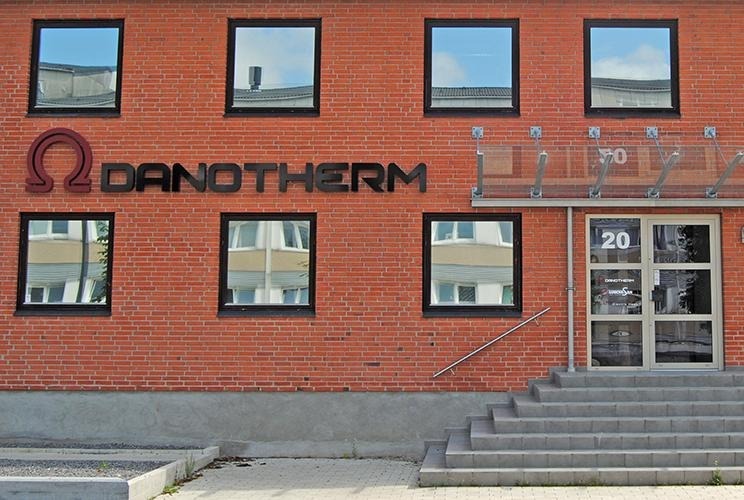 Danotherm Electric A/S has its main factory in Copenhagen, Denmark. Furthermore a factory in Stargard, Poland and a factory in Milan, Italy. Danotherm Electric A/S is a member of the Swedish NIBE Group providing access to all necessary production-, know-how- and sourcing facilities. Therefore Danotherm Electric A/S is able to solve all problems related to power resistors and helping our customers the optimum way. 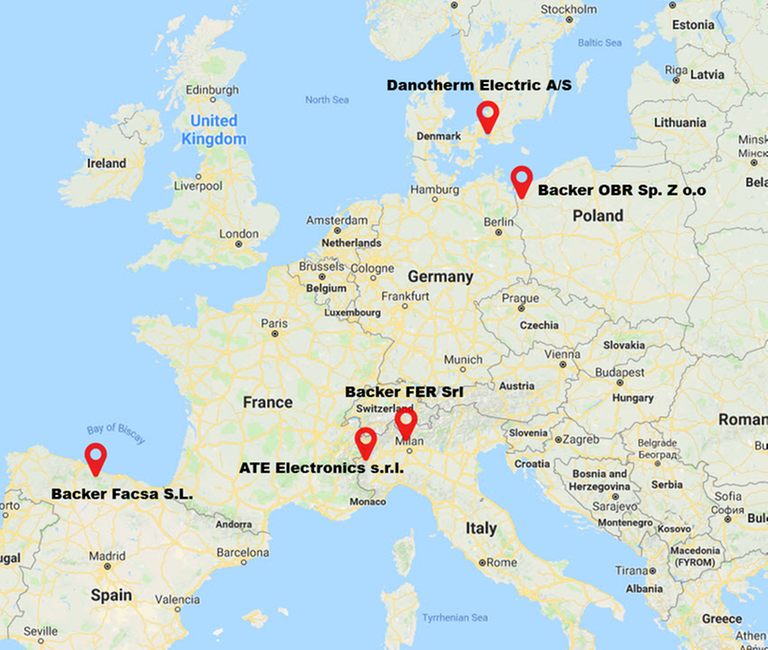 Danotherm electric, resistor divisions with its head quarters in Copenhagen, comprises of 5 production sites; Copenhagen, Poland, Italy (2 sites) and Spain. Each production site is specialized in different families of resistors. Sametime, production can easily changed from one site to another should for capacity reasons this be neccessary. 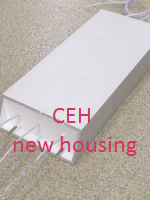 Please, visit our subsidiaries websites. NIBE Element Wind solutions is a leading supplier of heating and control systems for wind turbines. As member of this group, Danotherm supplies LVRT (Low Voltage Ride Through) dump resistors that can dissipate excessive energy during a grid failure or grid undervoltage. Danotherm resistors are also used in wind turbines as dynamic brake resistors when pitching the wind blades or rotating the nacel.